You're currently viewing posts by Pinsider apollon. 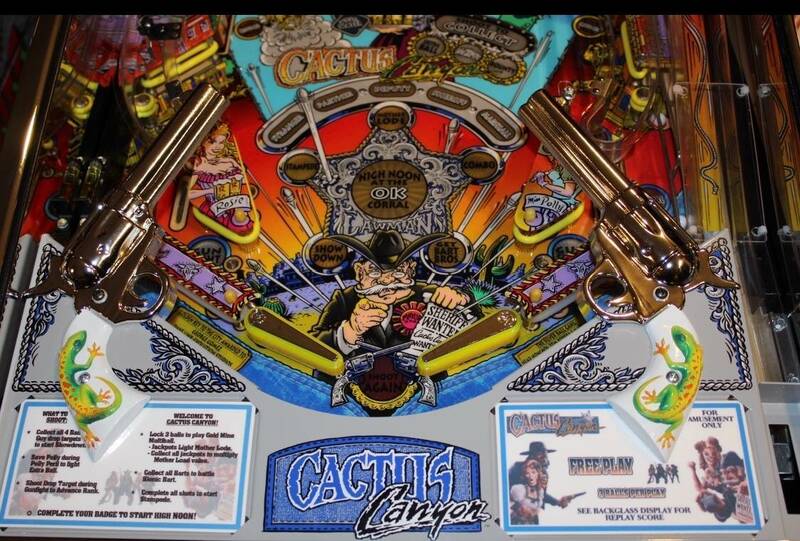 HEP(Christopher Hutchins) restored cactus canyon. Plaque #902 matches the serial # of the machine. Zero blemishes, zero issues. Perfect in every way. Color dot matrix display, laseriffic topper. Has Test 0.2 ROM, chrome guns with pearl handles. Chrome legs, lock-down bar & rails. Mirror blades. LED eyes in bart by Chris himself. Chrome train & stock train included. 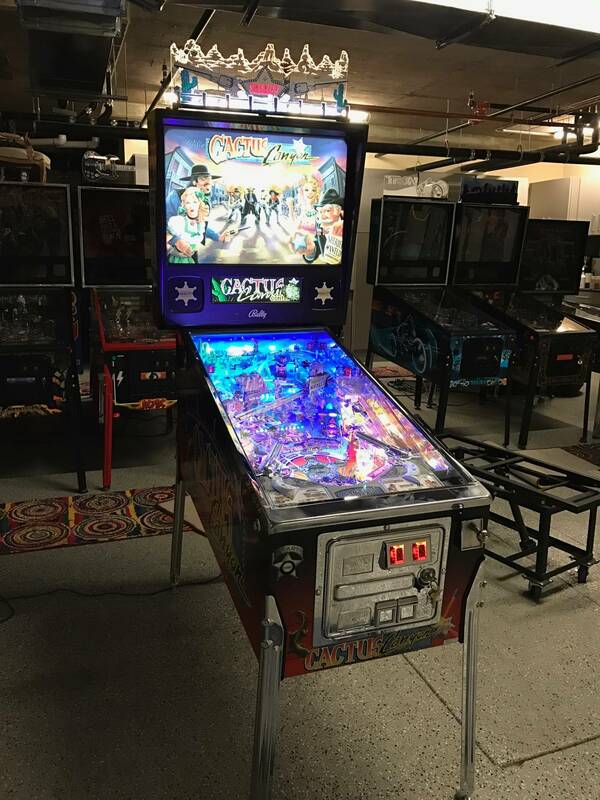 LEDs under playfield, regular bulbs in G.I. I see a lot of CC for sale with “perfect, but.” or “only minor wear.” this machine is the nicest CC in the Country and plays perfectly as tuned by Chris. Game number 902 out of 925 made. Plaque matches serial number. Plaque has not been mounted to game. It is in a zip lock bag and included. The game is perfect. These are Apollon's all time market stats. I didn’t post pictures on purpose. Anyone willing to spend the kind of money this or any HEP title warrants, will contact me directly and I will handle either in person or directly. Thank you for the kind words. Chris, you are nothing short of an artist. We appreciate your work every day. There is no comparison to a HEP pin. It is our measuring stick. 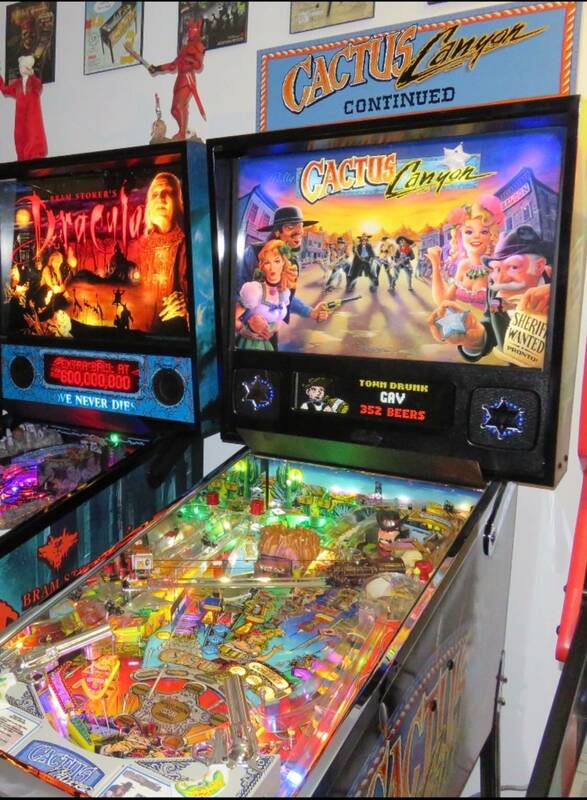 My whole family enjoys pinball and has great appreciation for a pristine game. I am very fortunate and do not take it for granted. Happy flipping. That’s what I get for using Siri.....without my glasses on. Obviously, meant “granted”. Playing it so much and would miss it. She actually asked if we could buy another of the same title while we send Chris ours and then sell it once we got ours back. That is guy logic if I’ve ever heard it. I did not chrome the coin door on purpose because in my humble opinion it was over the top and does not enhance the theme. That’s why I kept the original train and had a chrome one done. So I could always change it back. I have also toyed with (and I will if I keep it) on having another train professionally painted by a modeling painter. I think that would look nice. I did use a chrome coin door on a BOP restore I did and it was ok but in the end, I thought it was overkill. When I got my HEP BOP, it was crystal clear. I sold my other BOP. Selling/buying a pin of this price range, in my experience, is kinda like buying a car or something similar. There will be phone calls, emails, lots of communications. People don’t just come across this thread and go “oh, maybe I’ll buy that”. It takes the right buyer. But, I respect your opinion and agree it might be applicable on a pin of lesser cost and rareity. Would trade for Star Wars Premium, Deadpool Premium, & Iron Maiden Premium. I would put my HEP AFM, HEP MM, and HEP MB next to any special edition remake of the same title and they would blow the remakes away as far as feel, smooth play, durability, and attention to detail. They are not in the same category. Not knocking them just to be clear. It’s just apples & oranges. They do have their place. Lots of people can own those titles for reasonable amounts of money. The HEP market, from what I have seen first hand, is unaffected. I don’t have to sell my HEP CC. That allows me to be ultra picky. I get PM’d all the time about my HEP collection with offers of sale & trade. I still have them because we love them. Sounds like a case for creating entirely separate game ID's on Pinside so we're not constantly confused, and know to pay more. LoL. Just send a pin to HEP. You’ll see. I think original player quality games and maybe even well taken care of shopped games may take a hit on resale value based on a remake of that particular title. I am of the opinion based on my experience and feelings that a HEP example of a remake is not affected. I’m not specifically using Pinside as my target. 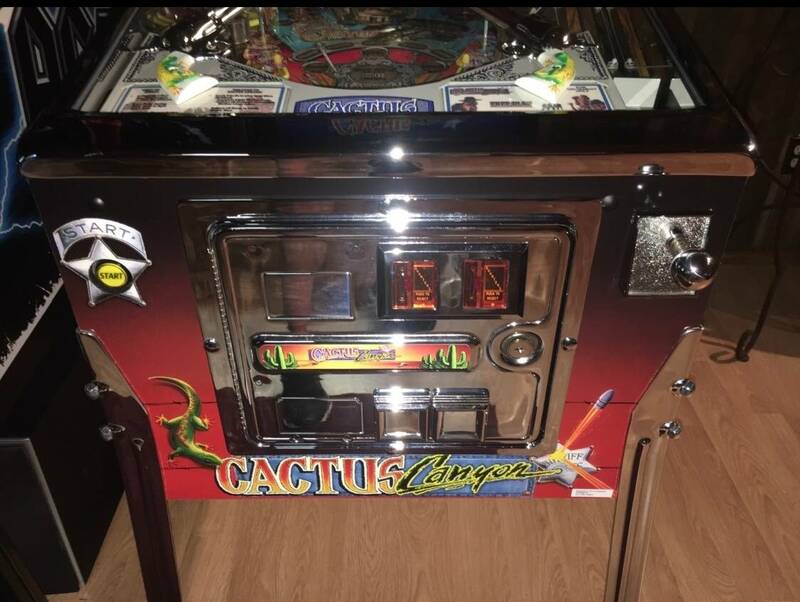 I list stuff on MrPinball as well as our local Bash site. It’s all Google searchable. As far as I know, there is no HEP classified. There is a lot of word of mouth. They always seem to find me.